Robyn Vilate: wednesday's wishlist... workout edition! we're going to go ahead and pretend it's still wednesday and do wednesday's wishlist today! today is all about the workout wear i have recently been lusting after! 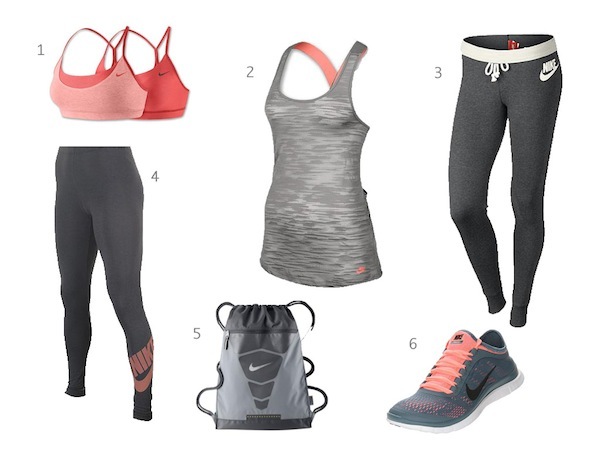 grays and corals are always favorite, but these particular items will be perfect for my fall (post baby) workouts!! pretty sure the shoes and top are waiting in my shopping bag right at this moment! I love these!! Don't you feel so much better when you have cute clothes to workout in? I do!! Oh, I need new ones to motivate me A.S.A.P.